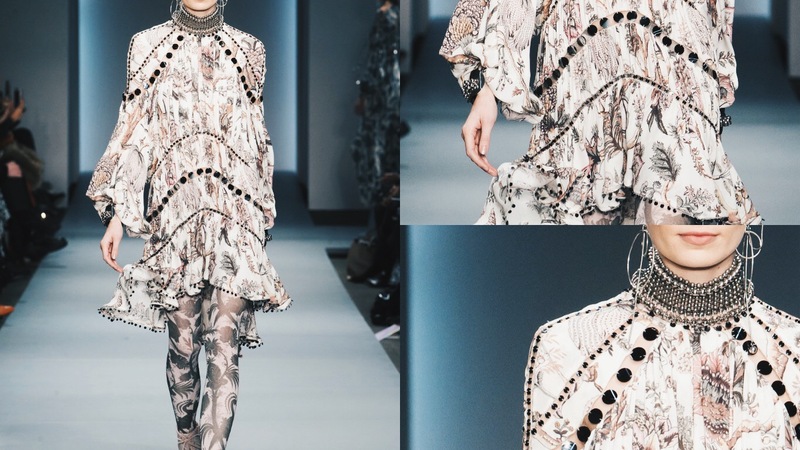 As LFW slowly approaches, I have been looking through some of the key catwalk trends throughout NYFW and got inspired to create a bohemian inspired look from Zimmermann RTW Fall 2016 Collection. Zimmermann's "Mirror Mirror" collection consisted of flowing layered fabrics, inspired from India. One of my favourite things about the collection was the use of printed sheer fabrics infused with mirror embellishments. This inspired me to style my own sheer printed tunic from Dizen Clothing. The tunic: Is a fashion piece that is flattering for any body type and I think it's the perfect type of dress to wear to a brunch date. I chose to style this piece with a simple dark brown belt paired with over the knee boots. The outfit can be paired on it's own or with a pair of leggings! I love bohemian inspired fashion as it's free spirited and syncs well with my personal style.